Jonathan Davies. Pic: Simon King/Replay Images. Jonathan Davies will captain Wales for the first time on Saturday as he leads his a team showing 10 changes for the match against Italy in Rome (KO 16.45 GMT). The double digit rejig from the team that beat France in Paris in being done, in part, with one eye on the World Cup, according to coach Warren Gatland. It means first Six Nations starts for England-based pair Jonah Holmes and Thomas Young. 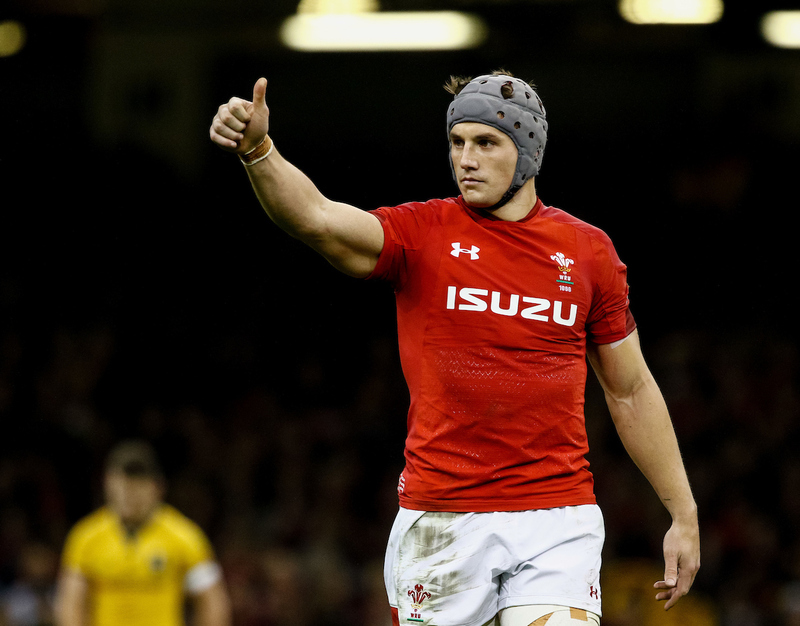 Davies will win his 70th cap at Stadio Olimpico and becomes Wales’ 137th captain. Liam Williams and Josh Adams, who both started in Paris last week, are joined by Holmes in the back-three with the later making his first Guinness Six Nations appearance. In the pack Nicky Smith, Elliot Dee and Samson Lee form a new look front-row with Jake Ball coming into the second-row alongside Adam Beard. In the back-row Josh Navidi moves to No. 8, Aaron Wainwright starts at blindside flanker and Thomas Young makes his first Six Nations appearance on the openside. “We have made a number of changes this weekend but have picked what we think is a very exciting team that still has huge experience throughout it,” said Wales head coach Gatland. “We have made a similar number of changes to what we did last year, but it is all about opportunity for these players. “We have had a squad of 31 training together, replicating the Rugby World Cup and it is important they get game-time. Ryan Elias, Wyn Jones and Dillon Lewis are the front-row replacements on the bench with Alun Wyn Jones and Ross Moriarty completing the forward contingent. Gareth Davies, Gareth Anscombe and Hallam Amos provide Wales’ backline cover.